WAD 2010: What Are YOU Doing? 1st December is widely celebrated as the World AIDS Day: to raise funds, awareness and support and acceptance of this killer disease and its sufferers. 1. A short history of the World AIDS Day. 8. Recounting memorable patients: Advanced AIDS, yet never giving up! The theme for the World AIDS Day for the past half decade has been: StopAIDS – Keep the Promise. This year, there is an added sub theme: Universal Access and Human Rights. I am going to do my bit to spread awareness about this killer disease through my blog and my patient encounters. What are you going to do? Be the change you want to see. 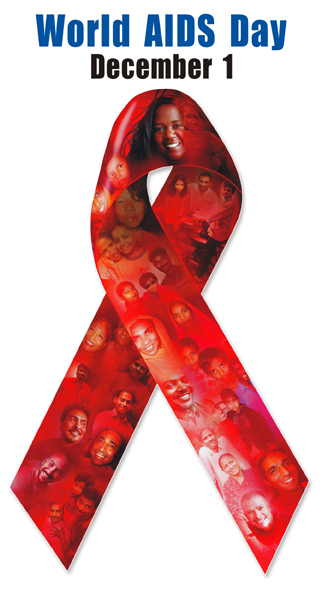 Join in hands to make this world a safer and better place, make this world AIDS free! Tags: AIDS, Days in Medicine, HIV, Homosexuality, Human Rights, Public Health, Sexuality, WAD, World AIDS Day. Bookmark the permalink.